We would like to invite you to our album release concert. Price for the concert is 17,50 euros for admission, our CD and an extra gift for you. Already have our album ? Admission is 10 euros. If you'd rather purchase our LP, the admission is 25 euros. The venue is beautiful but small, so if you intend to come join us, please let us know as soon as possible by sending an email to reserve a spot. Let us know what your option of choice is and we will prepare your ticket and have your CD and gift ready for you. 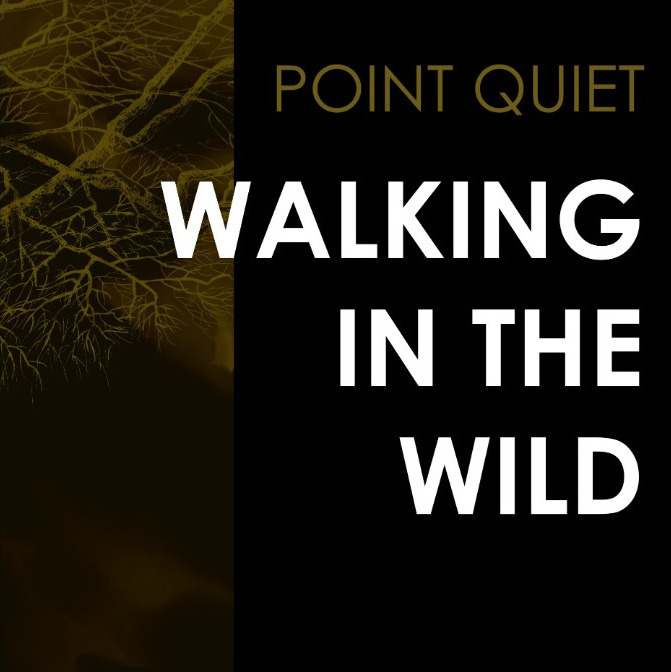 We will present our new album 'Walking in the Wild' on 15 March in the intimate atmosphere of the Torpedo Theater in Amsterdam. More info coming soon! Walking in the Wild. That’s the title of our new album. 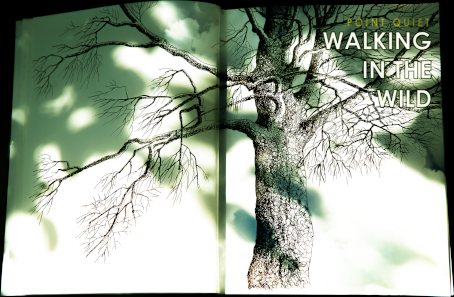 It will be released this spring, on cd and on beautiful vinyl. On Continental Records Europe, as always. Pre orders are available in our webstore. Jan and Joost, aka Verbraak | Van Bijnen, bring us good news. Their new album will be out very soon. It will be released by the good people at CRS. Just listen to the title track Enless Road and you'll agree that it is good news! More good news: Verbraak | Van Bijnen is planning a theatre tour later this year. Keep an eye on their Facebook page for the news! 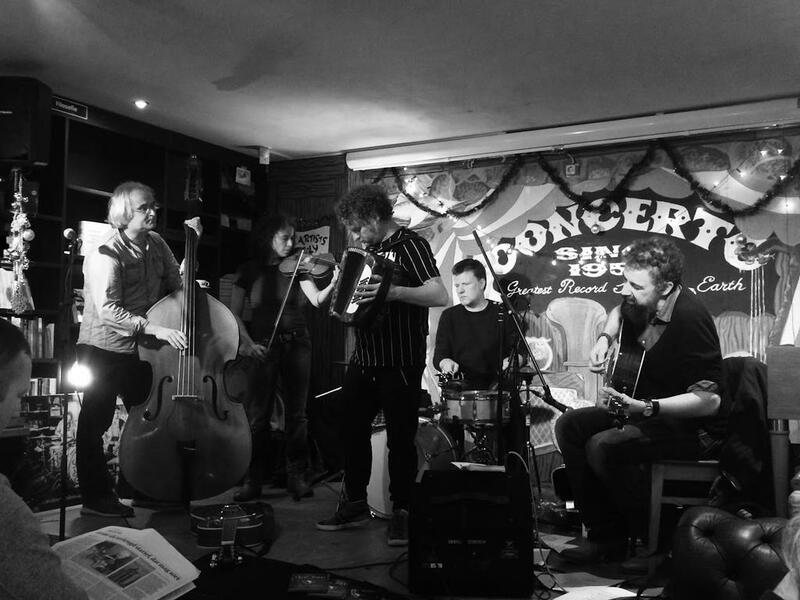 PQ's very own Joost (aka Verbraak) and Jan (aka Van Bijnen) burn down the house with their well-chosen mixture of blues, New Orleans and bluegrassy music. 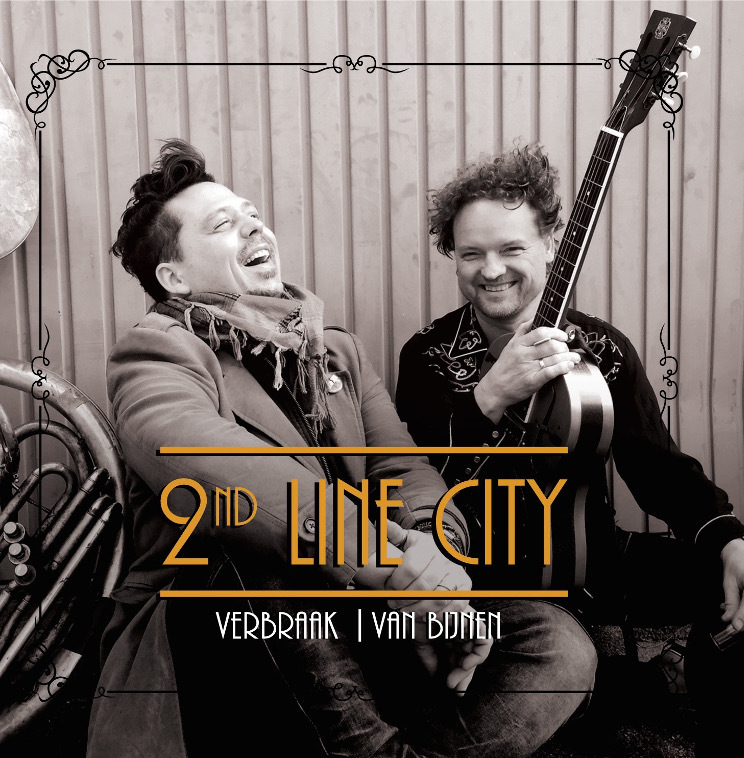 Their first CD will be released by Continental Record Services (CRS): 2nd Line City. The album is available in our webstore. Pre orders are only € 12,--!!! Two new gigs in the gig list. On 3 September we'll be opening for Frazey Ford in LantarenVenster, Rotterdam. 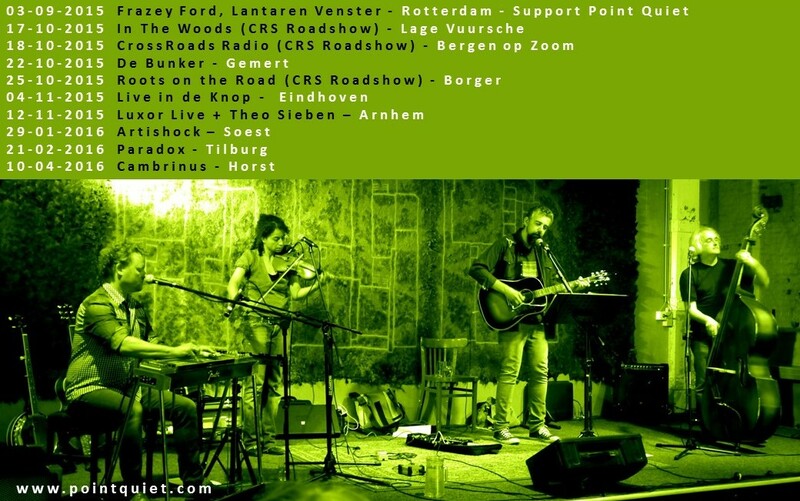 And on 10 April, that's next year, we'll go to Horst and play in Cambrinus. There's a new date for our show in Luxor Live: Thursday 12 November. BN De Stem had a nice interview (our own copy here) with Jan, our hero on dobro and pedal steel and banjo and accordeon and trumpet and mandoline and much more. 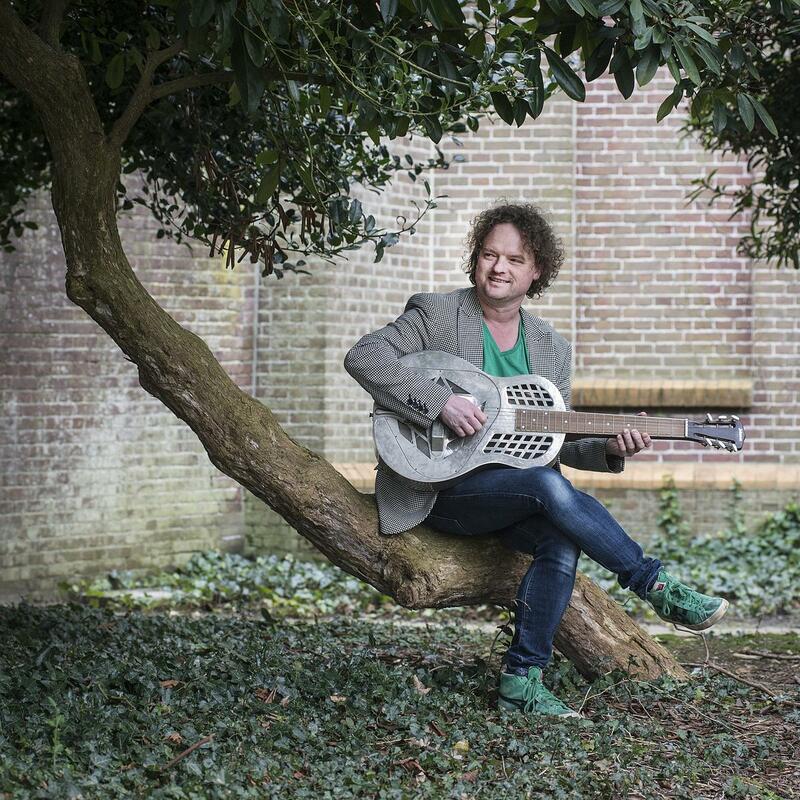 He talks about how he grew up in the small town of Ulvenhout, about his love for all stringed instruments and especially the dobro and about his shows with comedy legend Freek de Jonge. And we get to know if he and Sonja will ever get married. The pictures were taken in Ulvenhout by Ron Magielse. Video by Simone. Footage shot by Leonie Kuizenga at De Parel Van Zuilen, Utrecht. It's official, we have a new album. Release date: today! We're very happy with the response we got up to now. So, with pride, we present some press quotes below, in Dutch, English and German. Maybe, after reading them, you might consider to visit our store? Or read all the reviews on our Press page. "We waren erop de redactie kapot van dit nummer, trouwens de hele plaat mag er wezen"
"een album van internationale allure dat ze overal op de wereld mogen horen." 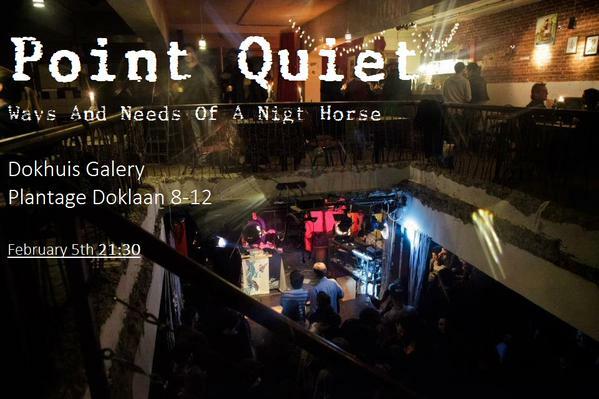 "een slag in het gezicht met een fluwelen behandschoende vuist"
"Point Quiet macht Musik, die traumhafte Schatten wirft und wo Schatten sind, ist auch Licht"
"We hopen dan ook van harte dat het album “Ways And Needs Of A Night Horse” van deze groep op de welverdiende erkenning van vele liefhebbers van uitstekende muziek zal mogen rekenen"
"A bit of Tex Mex by using trumpet, trombone and accordion, a nod to Ennio Morricone in the intro of Trembling Star, old school country slide guitar in The Man I Once Was, this is a band wearing their influences up front." 3voor12 Den Haag selected us as their favourite band for this mont. This means you can see and hear us a lot in the Den Haag area, this February. 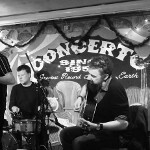 And don't forget there's also our gig in De Regentenkamer on Sunday the 22nd, in the afternoon. We've updated our Lyrics page, with all the words from all the songs on our forthcoming album Ways And Needs Of A Night Horse. To give you an idea of what's going on in the mind of our lead poet and singer Pascal, here's one of them. The first review of our new album has arrived. And it's a good one! Check it out on White Room Reviews. In the sidebar on the left of this news message you can find some songs and samples and a link to our store, in case you'd like to pre order the album. In December we did a pre release presentation of the new album in the Concerto record store in Amsterdam. Here's a great picture by Funs Kessen. 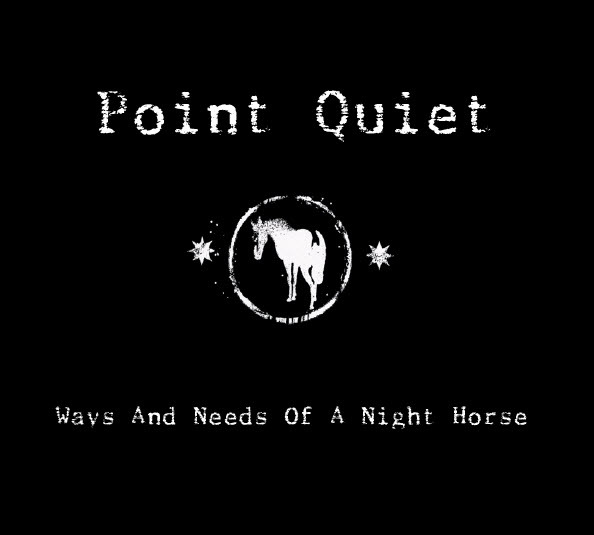 Our new album 'Ways And Needs Of A Night Horse' will be released on the 16th of February by Continental Records Europe. 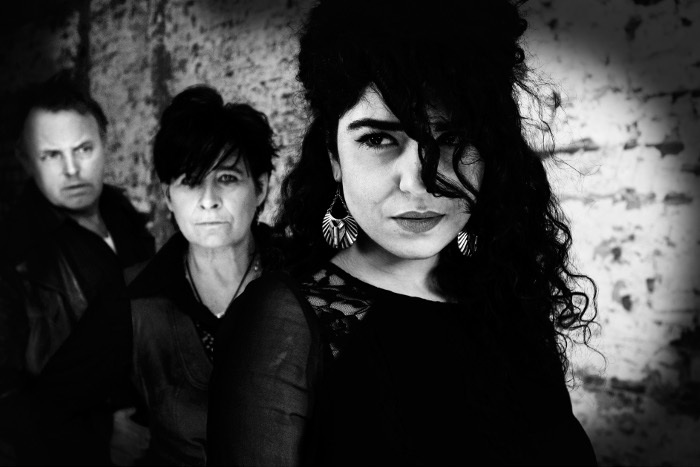 We promise you eleven songs of loss, hope and trust, in our signature dark Americana sound. You can pre order the album in our store now, for a reduced price of only € 12,--. We had a great time yesterday, at the Radio 1 studio, playing The Man I Once Was on Dit Is De Dag. Thanks to everyone over there for being very hospitable en all round nice people!. Here's a recording from yesterday, including the teaser we played at the start of the show and presenter Margje Fikse interviewing Pascal: Point Quiet live on Dit Is de Dag, Radio 1. And while we're at it, we found an old recording of Anchors And Birds from a Radio 1 show as well. Played in Villa VPRO, in October 2010. Ain't time going fast? 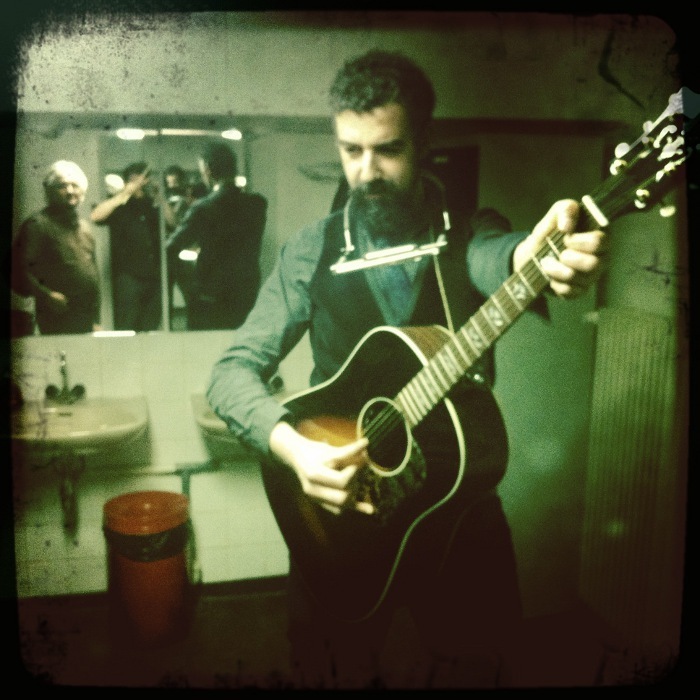 Leo Kattestaart wrote a very nice blog post (in Dutch) on AltCountry.nl. We do appreciate it, Leo! And, talking about Leo: if you happen to live in the Rotterdam or Den Haag area, you should keep an eye on The Lock Keepers. It's Leo & friends, organizing great live gigs in Grand café De Waker in Maassluis. 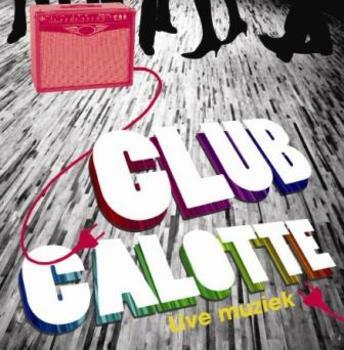 Arend Bouwmeester invited us to come and play in his oh so fabulous Club Calotte, this Monday. He didn't have to ask twice! Club Calotte moved from Bellevue to the Melkweg. Joining the party: the Will Sophie Band, Nanette Drazic, Theo Sieben and Laurens Joensen. And you? It's been pretty quiet here for some time. It's just that we were busy recording our new album and, let's be honest, dealing with everyday life. We hope we can give you some news on our new album pretty soon! For now, we just want to tell you that you might like to visit Ontspoord by De Toneelmakerij, if you happen to be somewhere in The Netherlands this Autumn. It's the Dutch version of Naomi Wallace's "The Trestle at Pope Lick Creek", with music from Lucinda Williams, Mary Gauthier, Tom Petty, Steve Earl, Alison Krauss, to name a few. And from us! Frédérique Spigt and Bob Fosko sing Long May You Hide, and it opens with the untitled ghost track from our first album, played live by their excellent band! 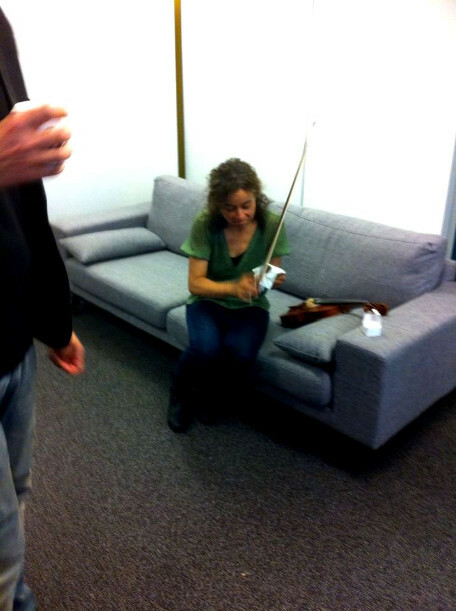 Our thanks go out to Frédérique Spigt and all at De Toneelmakerij! The Groninger Museum invited us to contribute a song to the audio tour for their Painting Canada exposition, which opens today. 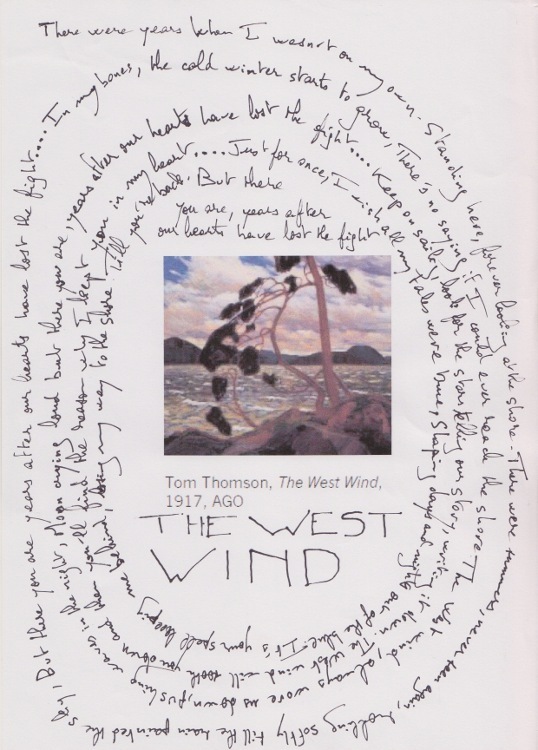 We're very proud to present our very own The West Wind. This song was actually born from the painting. Or more precisely, the painting triggered images and memories, merging and dancing with each other, until they spawned a short story, on which the song is based: a lost love and a lost past, kept alive by a man on the (somewhat figurative) shores of a lake, until lost is found again, but whether it is real or not is largely up to the listener. In real life, this painting reminded me of the lakes seen while being on tour in Canada, from the greater ones in Ontario to the smaller ones spread over northern Quebec, and the always nostalgic feeling they produced, maybe linked to memories of beaches of my home region (les Landes in France) at Fall. All great places for melancholia, which we now share with you. Oh, and we'll play in the museum on September 22, with two other bands taking part in the audio tour: Kit Soden and House of Wolves. We think it's going to be a very, very special night. 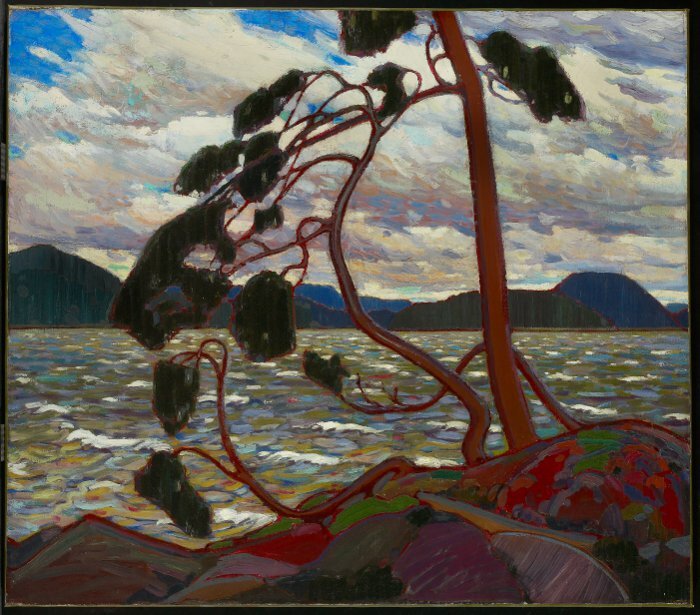 Painting Canada - Tom Thomson and the Group of Seven, June30 to September 30, Groninger Museum, Groningen. Just to show you what the original version looks like. On squared paper, in a small note book. Click on the image to see the full version. Braving the gods of adversity (by ways of public transports imperatives, variable-geometry schedule and other infrabass invasion from a nearby performance), we had fun (and a bad case of collective nerves) on Monday night in Amsterdam and we stayed the course on stage. How could it be otherwise, when the dressing-room atmosphere looked like this? We're currently recording our new album, but we sure didn't want to leave you in a long, dark silence, especially in winter. 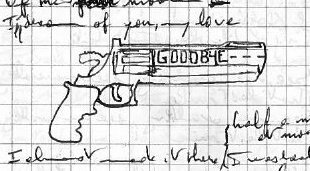 Which is why, from now on, you'll find covers regularly posted on our site, recorded guerilla-style: fast, raw and heartfelt. Just like us (excepted for the " fast" part...). We start with our own humble rendition of Steve Earle's jewel: Fort Worth Blues. Written with Townes van Zandt in mind, but universal in its poignancy and humanity, this song tells you why Texas keeps calling those who ever set a foot there. Yours truly, included. And it speaks of friendship, love and wanderlust. We hope you'll enjoy it as much as we enjoyed covering it. 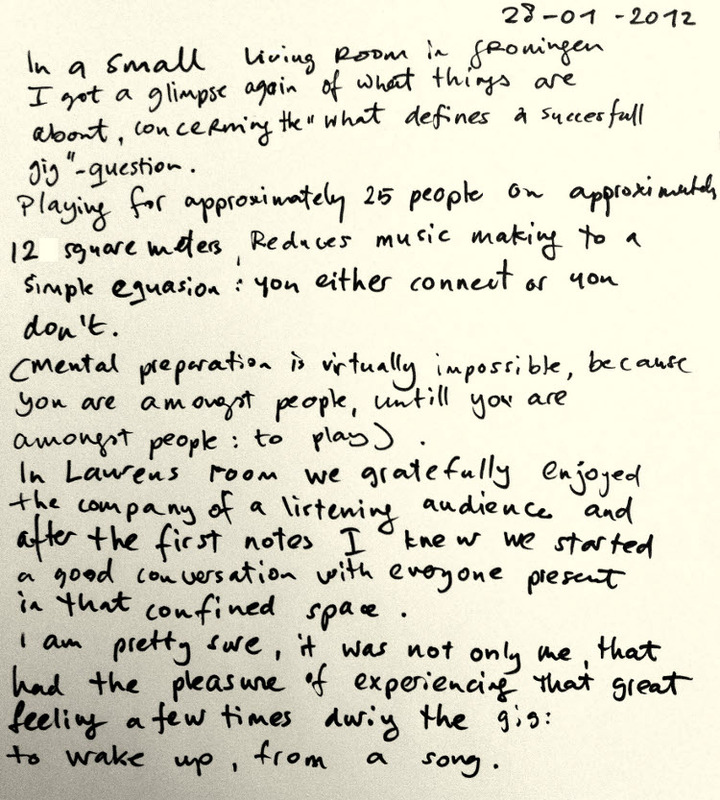 Some thoughts by Simone after about our very nice Wisful Music gig. Made you wonder what it was like? The Wishful people made some videos. And they are on Youtube. And if you're in for some more music, check out Binoculers. She definitely was part of the magic, that very evening in that very living room. We took some time off this autumn, but in the coming months we'll be back on the road! We had a great start of the series of gigs, playing the Club Canapé festival with the fabulous Dazzled Kid. The coming weeks we'll explore the north and the east of The Netherlands. Not too familiar territory for us, but we heard pretty good things about the place we'll play. We're looking forward to the experience and well, norhterners and easterners, it's up to you to prove those good stories are true. More good news. The Bellevue Theater asked us to play on their Club Calotte evening on February 27th. We'll be there. It simply is one of the best places in Amsterdam for us. If you've been here before you probably noticed. The PQ styling team has been working very hard on a new website layout. Our webmaster wants you to know that your more than welcome to mail him all your comments, complaints and compliments. Just a short summer-note... We are happy to announce that in august we'll start rehearsals and recordings for a new album. And...we published a new short video that you can watch here. Most of all we wish you an inspired summer! 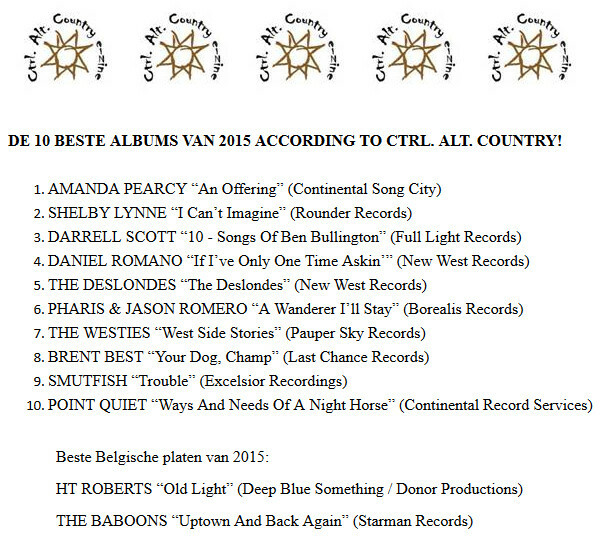 The good people at VPRO/3voor12 selected Anchors And Birds for their Hollandse Nieuwe compilation this month. We're proud of that! 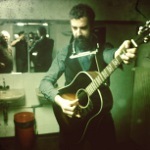 On April 16 we did a live radio session in Stork on Air on Radio West. Our multi instrument wizzard Jan couldn't make it that evening, but we think we managed to do pretty well anyway. So, we want to share the recordings with you. Hats off to Bas Martinius, who did a fabulous job on the live radio sound. Our new album will be released by Continental Records Europe and distributed by V2. We expect to announce a release date very, very soon. 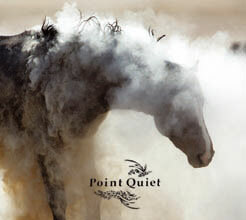 White Sands is now Point Quiet. Yes, we changed our band name. For reasons far too complicated to explain to you. This is our new website, still very much under construction. For now, there's a biography, some pictures and, far more important, the news that's right ahead of you in the middle of this page! If you want to know more about our history, visit our old web site. We'll keep it online for a while. Culminating in a 5-part harmony vocal session, we completed the recordings for our new album. The mixing phase will now start and we'll keep you posted about it regularly (we might even put 1 or 2 takes online at some point, but we don't promise anything... keep watching this space though...). Apart from that, Rotterdammers should write down april 14th in their agendas, since we'll be hitting the town on that day (see gigs section). We thought you'd like to know that. Want to know a secret? Yes? OK, here it is: we're working on our second album. Even better: we're making good progress. Still better: we really like what's happening in the recording process. We're in the final stages of recording now, aiming for a release this summer. We can hardly wait to play our new songs on stage. So we started working on that part as well. Keep an eye on our “gigs” page. A date in your local venue may be added shortly. This year, the Binnenach program is particularly attractive with (among others) performances by the Hans’own personal hero Johnny Dowd, The Hague’s brilliant altcountry combo John Dear Mowing Club, and a guy who's probably the best upcoming singer-songwriter of his generation (I know, it sounds overcooked, but trust me, it’s true!) Hayward Williams (I’d put him on a par with Great Lake Swimmers’ Tony Dekker, to give you an idea). In other words, be there. If you please. Our debut album 'Deseronto' is out! 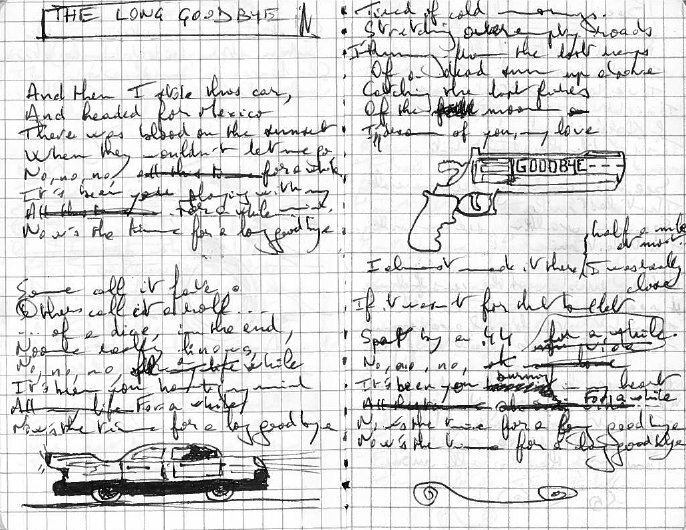 12 tracks of americana noir, we're very proud of the result. In this christmas period, do your CD collection a big peachy favor and order it from Plato (Benelux, Europe in general) or CD Baby (rest of the world!). Oh and more reviews to be read on the press page.